Are real heroes made – or are they born that way…? Chancer, we called him – the boy whom all the kids at school most feared to be seen with lest they incur the same kind of punishments as he did. Being dragged down the corridor by the ear to the headmaster’s office was almost a daily event for him; his grin as wide as a killer shark, eyes bright with something we could never describe. Rarely was Chancer still, showing his prowess by outrunning the bus after we’d all climbed on, or clearing the distance from bank to bank of the river in one leap. He’d scale a tree in seconds. While we’d be searching for footholds he’d be swinging by a branch. Without adults in sight we’d cheer him on to more daring escapades before running like the clappers when we caught sight of a Bobby’s hat or the approach of a teacher in the playground. Chancer was so involved with his feats of endurance or his determination to perform the most ridiculous or dangerous stunts, that he rarely saw his Nemesis in the distance. When caught he didn’t fight or swear or try to escape, just shook his head as if to free himself of the imp that had possessed him. He took more canings than any boy we knew, but we never saw any tears, never saw him cry. He didn’t complain. He’d just swagger back to his desk, sit on his hand for a while, sometimes biting his bottom lip until it bled. I touched his arm in sympathy once. He smiled at me. The next day I found a wild rose in my inkwell. For the first time in my life I felt almost beautiful. By the time we all left school Chancer seemed almost a man. Not overly tall, but square about the shoulders and looking always as if he needed a shave. He’d been told so many times that he’d never amount to anything that he didn’t seem to see the point in trying. The teachers said he was too slow at book learning, too foolish to follow simple instructions and too dangerous to employ. Yet he could shimmy up a drainpipe to fix a leaking roof and he could haul and build and dig or fix an engine better than anyone I knew. When the call-up came, unlike many other lads in the village, Chancer had nothing to lose. There was no girlfriend, even if many of the girls in the village cast their eyes in his direction. Me too. We knew better though, scared of our dads or brothers grounding us. Chancer passed his medical with flying colours. The first official test he’d ever come through on. He marched down the street with his head held high, his cheeks burning with excitement and a smile on his face as if he’d put all his money on the Grand National and won. The war effort scattered us all. Some of us travelled to work in the munitions factories, others worked on the land. There was plenty to do, little time to think. The home fires had to be kept burning. It wasn’t often I thought of Chancer through the long six years from ’39 to ’45, though when I did I always smiled. I saw the notice in our local paper. A photograph too, the smile unmistakably Chancer’s. His bravery had saved a whole squadron of soldiers. Without thought for himself he managed to get behind enemy lines, the article said. There was a lot more written about his attention to detail and duty, the support he gave to his fellow soldiers, his understanding of strategy and his fearlessness in the face of danger. We welcomed him home, gave him a hero’s welcome, cheered him on to a better place. We may never have seen Chancer cry, but we all cried a river wider than even he could ever clear when we said goodbye to him. 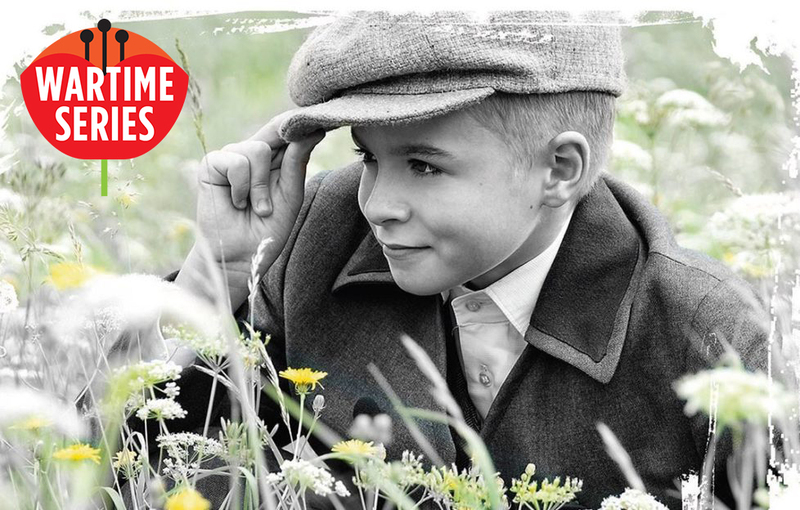 In November we’re bringing you a series of poignant wartime stories, plus The Little Evacuee, a serial from top author Jane Corry… look out for them here.